IF YOU THINK YOU KNOW GEORGE WASHINGTON, THINK AGAIN.This is the amazing true story of a real-life superhero who wore no cape and possessed no special powers--yet changed the world forever. It's a story about a man whose life reads as if it were torn from the pages of an action novel: Bullet holes through his clothing. Horses shot out from under him. Unimaginable hardship. Disease. Heroism. Spies and double-agents. And, of course, the unmistakable hand of Divine Providence that guided it all. "Being George Washington" is a whole new way to look at history. You won't simply read about the awful winter spent at Valley Forge--you'll live it right alongside Washington. 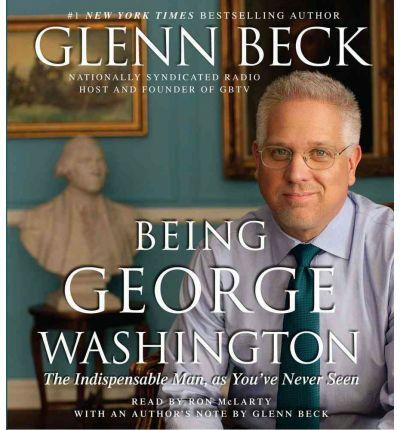 You'll be on the boat with him crossing the Delaware, in the trenches with him at Yorktown, and standing next to him at the Constitutional Convention as a new republic is finally born.Through these stories you'll not only learn our real history (and how it applies to today), you'll also see how the media and others have distorted our view of it. It's ironic that the best-known fact about George Washington--that he chopped down a cherry tree--is a complete lie. It's even more ironic when you consider that a lie was thought necessary to prove he could not tell one.For all of his heroism and triumphs, Washington's single greatest accomplishment was the man he created in the process: courageous and principled, fair and just, respectful to all. But he was also something else: flawed.It's those flaws that should give us hope for today. After all, if Washington had been perfect, then there would be no way to build another one. That's why this book is not just about being George Washington in 1776, it's about the struggle to be him every single day of our lives. Understanding the way he turned himself from an uneducated farmer into the Indispensable (yet imperfect) Man, is the only way to build a new generation of George Washingtons that can take on the extraordinary challenges that America is once again facing. About the Author: Ron McLarty has appeared on Broadway in That Championship Season, Our Country's Good, and Moonchildren. His film credits include Two Bits, The Postman, and The Flamingo Kid. He has starred on television in Spenser for Hire and Cop Rock. Mr. McLarty is also a novelist and an award-winning playwright.